2. What will be financed? 6.1 How will the EaP funding be allocated to the six eastern countries? 6.2 How will the Commission programme these funds? 6.3 How will the Commission define in details the specific measures that will be financed each year? 6.4 How will EaP funds be implemented? 6.5 How can beneficiaries access funding under the Eastern Partnership? 6.6 How can prospective recipients apply for funding under EaP? 6.7 Where can I find information on Call for proposals & Procurement notices? 6.8 Can other donors co-finance Eastern Partnership activities? 6.9 How can MS and other donors contribute to the implementation of the Comprehensive Institution Building programmes? 6.11 Where can more details on the Flagship Initiatives be found? 6.12 Can new initiatives be proposed in the context of the work of the Platforms? 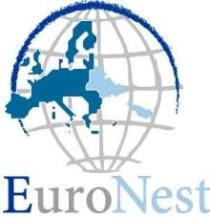 6.13 Can partner countries co-finance the Eastern Partnership? 6.14 How are the EIB and EBRD involved? 6.16 When will draft project fiches be available? 6.17 When can draft projects be sent to the Commission for review and possible approval? European Investment Bank or the European Bank for Reconstruction and Development ? If so, how will they be allocated? 6.19 Will the funds dedicated to the EaP benefit only the Flagship Initiatives? 6.20 When will the rules guiding the implementation of projects under the EaP be known? 6.21 Are TAIEX and Twinning / Twinning Light the only tools to implement project under the Eastern Partnership? 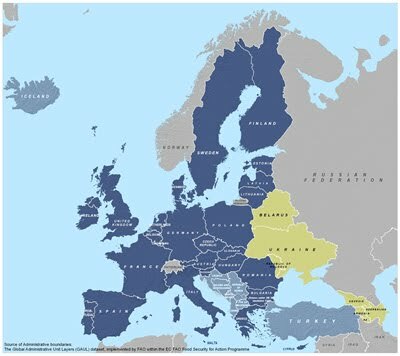 6.22 Can the Partners countries’ regions and local authorities participate in projects implemented under the EaP? 6.23 How can I obtain further information?